A group of ships from the Russian Pacific Fleet carried out combat task duties while participating in the Russian-Indian drills Indra Navy-2015, a fleet statement announced Wednesday. On Wednesday, a portion of the Russian Pacific Fleet, including guided-missile cruiser Varyag, destroyer Bystry, tanker Boris Butoma, and rescue tug vessel Alatau entered the Indian Ocean through the Strait of Malacca. 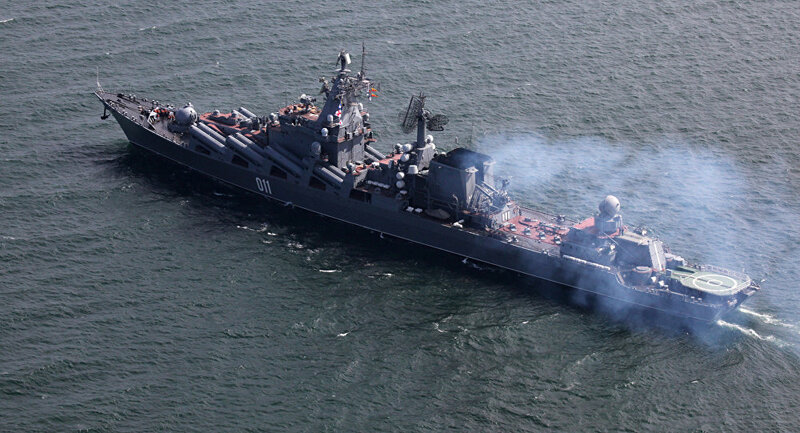 “While conducting combat service tasks, the ships’ crews worked through air defense tasks, an anti-terror unit carried out training, anti-ship exercises were conducted as well,” the statement said. Earlier, the Russian Pacific Fleet group left the Russian city of Vladivostok on November 2 and headed to the Visakhapatnam port, India. Further expansion of friendly relations between the fleets of the two countries and a continuation of the ongoing Indra Navy-2015 drills are the main purposes of the visit. The active phase of the drills will take place December 10-12. Russian and Indian fleets are expected to work through anti-submarine, anti-aircraft and anti-ship defense scenarios.